2) I would prefer also seeing the extension of the NJT HBLR into SI, rather then making the S89 a Select Bus..
1) It's the S93, not the S98. The S98 serves Forest Avenue. 2) Since I live near the route, I'd like to say that on average, the buses aren't too full. Maybe 4/5 of a seated load crossing the Bayonne Bridge (this is an average, so at the height of rush hour, you have buses with standing loads, and the buses at either end of rush hour have maybe 40-50% of a seated load.). Reverse-peak ridership is very low. At most, you'll see 6 or 7 people actually going over the Bayonne Bridge. Besides, ridership is 1,000 riders per day, whereas the M15 and Bx12 see over 50,000 riders per day so no way should the line get +SBS+. In any case, a light rail definitely would help. The Phase II report says that ridership would be around 12,000 riders per day if it went all the way to the South Shore, and about 9,000-10,000 if it went to Bloomfield. People are naturally more inclined to ride trains over buses and eliminating the transfer definitely would attract some riders. Not to mention you could get some TOD around the stations, which could help build ridership. 1) It is cheaper than a subway. There a reason almost every big city/region in America in recent years has bulit light rail. And there no way many NYC residents want to be taxed in this recession to build the subway lines. 2) Not to mention the NIMBY's as well. All i am saying on a case-case basis light rail can work in nyc. Remember trolley cars 100 years ago was all over the 5 boros. 1) Like I said, economic development along the corridor could be enough to cover the cost of the project. c) Eventually, a lot of those neighborhoods did see subway/elevated lines being constructed through them. Alright then if you can give a light rail train its own ROW then why can't you give a bus its own ROW? Yeah, when going down Rt. 440 I see some freight trains being stored on the track, but I'm not sure if it's the same track the HBLR runs along. In any case, another example is the RiverLine. From Staten Island???? NOPE... From Brooklyn originally (Sheepshead Bay). I've lived on Staten Island since 2004 and as of last week, I'm officially a resident of Spuyten Duyvil (Riverdale). :cool I'm still staying on Staten Island for now until my lease starts in a few weeks and I move my stuff in. Yes, "could" is the key word. That doesn't mean it's so though. You make it sound like it's so easy. Building a subway is expensive, and time consuming and for all of the "economic development" that you keep talking about the economic depressions that building a subway creates is something you seem to overlook. In sum, yes, in theory a subway could be cheaper overall, BUT in this day and age with the cost of labor and materials getting more and more expensive, this notion of a subway being cheaper in the long run is just that... A notion. You can. It's called BRT. M15 SBS is an example. Here are the engineering studies for light rail by the okay. These aren't mines. By the way, Amtrak does not use all of its right-of-way. There's room for 6 tracks in the Bronx, but it has been reduced to 2 tracks. What do you do with the space for 4 more tracks? Work things out, and the subway will come really cheap—possibly cheaper than light rail. Of course, not every place has extra space just to plop a subway on top of. The Bronx just so happens to have this. Anyway, the reason subways are claimed to be cheaper in the long run is not the immediate monetary cost, but the effect on the surrounding ecosystem. By building lower capacity transportation, you physically cap the growth of a region to a certain level. 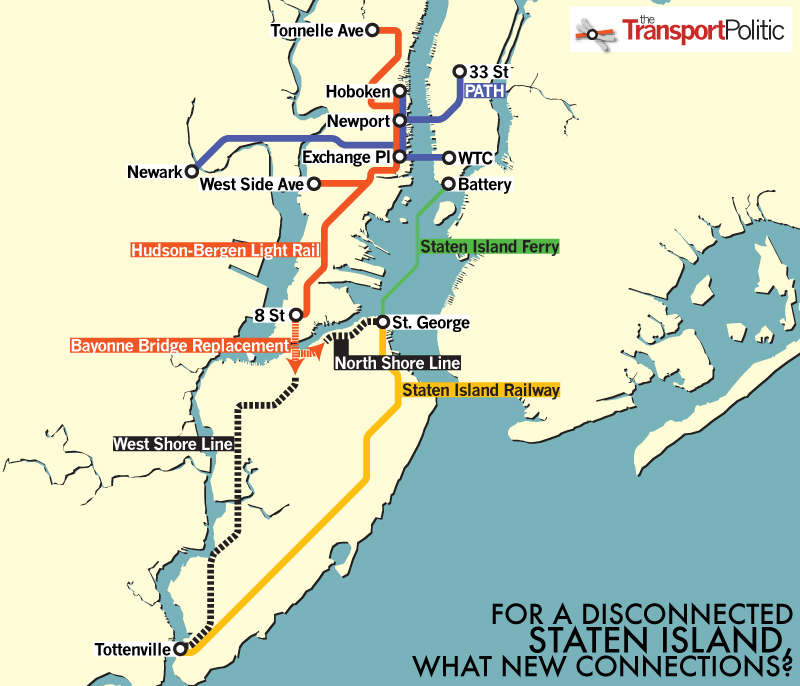 Imagine replacing even a single East River tunnel between Queens and Manhattan today with a light rail or BRT line. The ridership was definitely not there when some of these lines were built, but had the city or companies operating the transportation went for cheaper options, Queens would not have grown so much. Stunted growth is a residual, ongoing cost that will make the community pay for a long time. That's why compromising on transportation is such a bad idea. 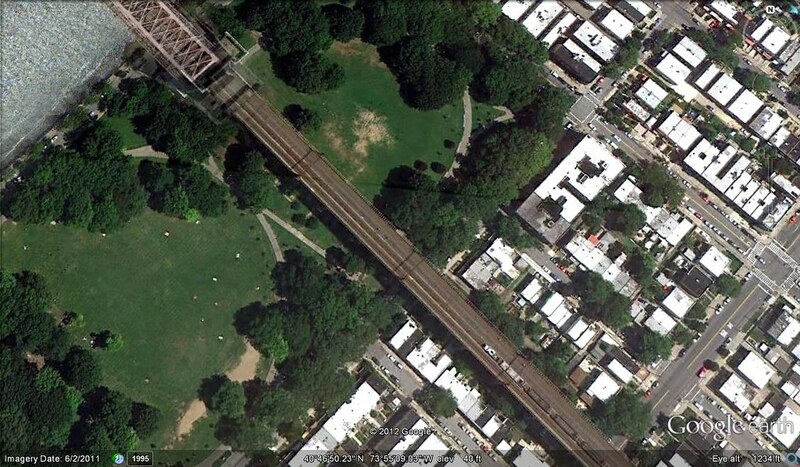 There are 3-4 tracks on the NEC(Bronx), its all used by freight service as I mentioned. And if a Subway is built along the Corridor, it is subject to FRA. If a connection occurs. Not sure. i grew up along this corridor. there are 4 tracks- 2 amtrak, 2 freight(one used more than the other). theres room for 2 more tracks. FRA regulations do not have to be a factor as long as the subway tracks do not at anytime connect to the national network and the subway trains never share tracks with the railroad. this route imo would be the best, cost-effective, high ridership potential in the boro. the sas would then truly do what it was ment to: relieve crowding on the Lex. now as far as the points of neighborhoods, incomes, crime etc, if anyone knows their subway history, the 1920's Second System plan was to make sure everyone in the boros would be approx. half a mile away from a subway. remember how this city grew. the subway was built, then the people followed. the current phase 2 plan for sas is one that can help relieve crowding on the lex in the short term: having it on 125th to park/lex with a provision for bronx service. this provision, if still on the board, also allows for trains to lay up just north of 125th on 2nd ave.
but ofcourse, we will all have to wait till phase 3 to see what may be needed/planned. the future is never written in stone. 2) Who cares? I wasn't talking about Manhattan. I'm talking specifically about the Bronx, but thank you for bringing that point up yet again. 3) Yes, I know that... And yes, NIMBYism would be an issue. Riverdalians are very protective over their neighborhoods and certain parts of Riverdale have been protected from overbuilding for fear of destroying the neighborhood, so yes the majority of us would fight like hell. 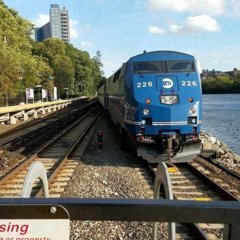 What we have is sufficient enough... MetroNorth and our express buses are quick modes of transportation. If folks live in Riverdale and can afford the neighborhood and can't afford the quick modes of transportation and b*tch and moan about the schlepp on the subway well then they were foolish to move to Riverdale, so it is what it is. 4) Yes, but they're not really high-density here in New York City, which is what matters here. Building a subway in some areas would be foolish because it would get light use if that. 5) You know what they say when you assume... I don't care about those damn extensions... I was referring to other parts of South East Brooklyn, thank you. 6) He doesn't get a lot of things... He just likes to repeat himself over and over... How many times is he going to repeat that subways in the long run are cheaper? 1) By the fact you brought it up, I assumed you thought the extension wasn't necessary. 2) Morris Park has a subway station. Those areas along the eastern part of the have subway service. Pelham Parkway (the neighborhood by Pelham Parkway/WPR) has subway service. Bedford Park has subway service. All of them have fairly low crime rates. 3) And how do you know that particular part of Riverdale (along Broadway, just south of the Westchester border) would protest about having subway service? 4) There are apartment buildings in those areas. I know Riverdale has a lot of apartments and Throgs Neck has housing projects. In any case, it doesn't matter anyway because there's no practical way of giving those areas service anyway. 5) When did I assume anything? And Nostrand Avenue and Utica Avenue cover a large swath of Southeast Brooklyn. 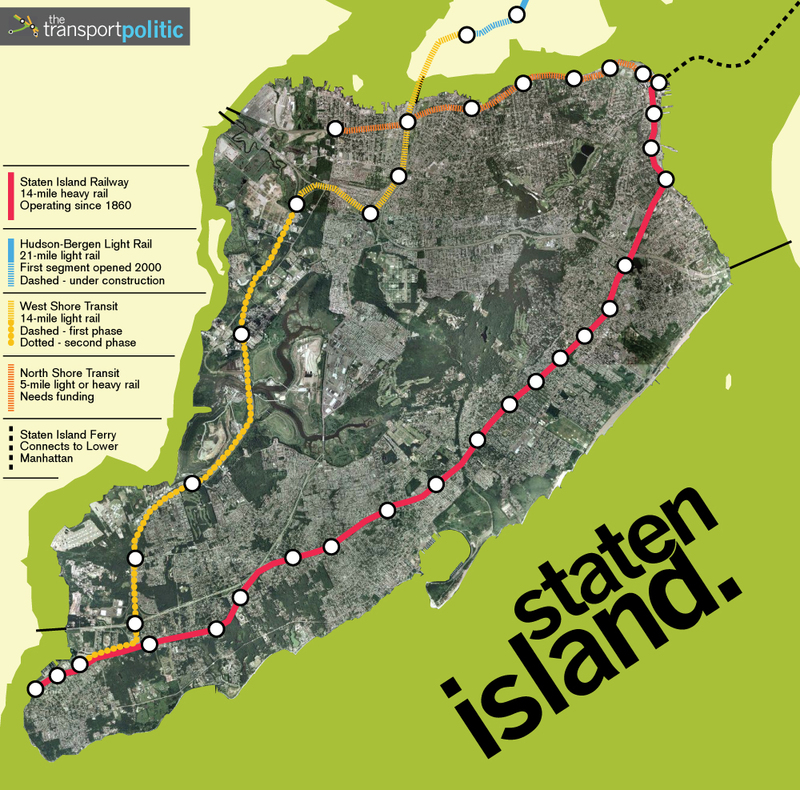 If you were thinking of Sheepshead Bay, that would be served by the Nostrand Avenue Line. 6) What the hell are you talking about????? He was explaining what light rail is, which I already know. He wasn't saying it would be cheaper or anything. A light rail can have its own ROW, but it still runs at street level. When I rode the HBLR in Jersey City, it ran down narrow streets with cars parked right next to the tracks. If one of the cars stalled out while trying to park, you'd back up the entire line. And no, subways aren't always cheaper. It depends on the situation. Like I said, the character of the area and how well it can be integrated into the existing infrastructure. And that's the point: Materials and labor are getting more expensive. If we're going to have to do it in the future anyway, we might as well do it ASAP. Geez, I've been on these forums for 2 years. I know what BRT is. You're kidding me if you think the M15 is a good example. The speed of the limited improved from something like 10 mph to 12 mph. You really think it's a replacement for a subway line? "Oh geez, let's stop the SAS because now we have the M15 +SBS+"
I'm saying they should put down BRT for the short-term, but long-term they should have subway service. It has more to do with density than just pure subways = crime. Areas with generally lower density have a higher class of people which leads to less violent and property crime. Whether they have a subway nearby or not is mostly irrelevant, althought it helps keeps baddies from other neighborhoods away. Generally, density decreases as you go out of the urban core, and there seems to be a medium-density at which you have the most social problems. So in many cities, you have very nice, safe areas in the urban core and the suburbs, and then in the middle you have the problematic areas. I mean, the UES overall is the densest neighborhood in the city, and yet it is one of the safest. But even then, you can't really make generalizations. For every neighborhood at a particular density that has a high crime rate, I can show you one with a low crime rate. Actually mass transit brings out the hipsters. For example Williamsburg or Hoboken. Best examples and they have mass transit. The fault lines on 125th Street I suspect may prevent the northern part of Phase II to be underground anyway. I suspect from wherever the shallow part ends they may very well have to go elevated with that part of Phase II, with in that scenario the 125th Street station being above the Metro-North tracks at Park Avenue while you would have the transfer for the (4)/(5)/(6) from the on the Lexington Avenue end. If that happens, the line could easily be extended all the way across 125 to stops at Lenox Avenue ((2)/(3)) and St. Nicholas Avenue ((A)/(:)/©/(D)) before terminating on a low elevated platform at Broadway-12th Avenue (transfer to ). That would work very well since by the time such a line got across 125th, Columbia University likely will have completed their long-anticipated expansion uptown (and perhaps Columbia could even pay for some of such an extension of Phase II across 125th if that were to happen since they would be the biggest beneficiary of such). What they really should do is put in a provision to facilitate an extension into the Bronx. Construct a flyover junction where the tracks duck under partially built trackways that continue just a short distance north of 125th Street. It shouldn't be too hard to do this thanks to the lack of a station at 125th and 2nd. As for where in the Bronx the line should go, I definitely think running via the Northeast Corridor would be the best choice. I wanted it to terminate at Dyre Avenue, as proposed in the MTA's 1968 plan (that's why my handle is "(T) to Dyre Avenue" ). Unfortunately, that's not possible with the West Farms Bus Depot that was built in the path of the old NYW&B viaduct. But I'd be OK if it continued on the NE Corridor to Co-op City. Its better up Park or Third, sorry. That railroad mimics the and for most of its route. Its only the Amtrak portion from parkchester to coop that begins to distance itself from existing subways. Remember, most of the people and density of the Bronx is in its western half. This should of been posted in the other NYC Subway forum, since its news pretty much. But going back. Hopefully this completes WITHOUT a problem. Im not caring about any extensions to the Bronx or Brooklyn at this time. Rather focus on helping to get the IRT Lexington Avenue Line a bit of relief. At least up 96th Street. IF mods think it is appropriate somewhere else, then by all means I'm for it. If they went up 3rd, I get the feeling the MTA might try not to go further than 149th Street. I do agree that the 3rd Avenue corridor is also an excellent place for the (or ) to go - should we ever get that far. 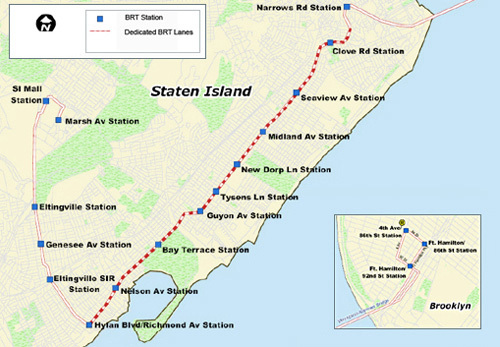 actually, the track map for a full length second ave(the most recent one right before its current construction) provided within the sas pages of mta.info not only shows this provision, but the layup track to be placed there until ever decided to continue north into the bronx. The tracks to go to a separate level. It's in the plans already from the 2000s. The tracks are also supposed to fan out underground to provide about 6~8 storage tracks, 2 which are provisioned to continue to the Bronx. They end at 129 Street once built. 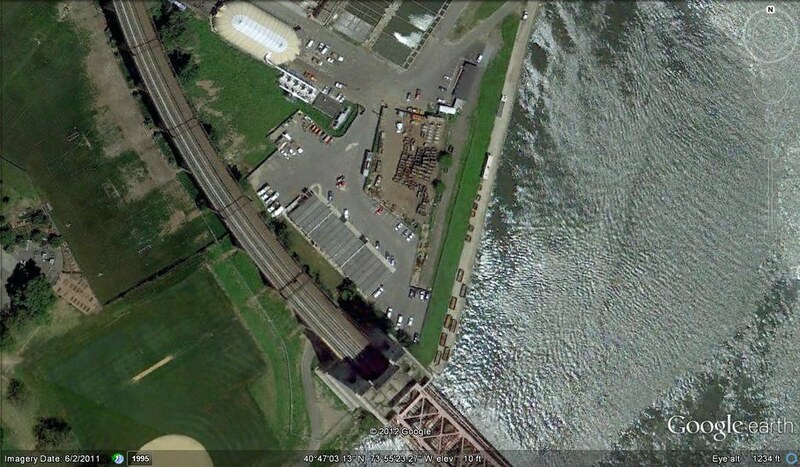 Excuse me people, but the Hell Gate Bridge has room for only one more track. Google Maps shows me that there are three tracks being used for freight so there is only one available track. You have to buy a track from the freight railroads if you want to use an extra track and leave the other two for freight. the proposal for SAS to be extended to the Bronx does not include the Hells Gate Bridge. The SAS proposed extention would separate from the NEC before the hells gate and go underground to enter Manhattan at 129th St and Second Ave. The r.o.w. over the Hell Gate Bridge is four tracks wide. So at that point, there is indeed only room for one more track. But get closer to Hunts Point and the r.o.w. gets wider. A or service via the NEC would not use the Hell Gate Bridge or its approaches. It would peel off from the NEC roughly around 132nd Street and run parallel to it, then dive down and curve south to tunnel under the Harlem River to run below 2nd Avenue. There are already existing tracks on the Corridor that ramp down to ground level and turn west just before the Amtrak route turns toward the bridge. I'm not sure if those tracks are still active or not.